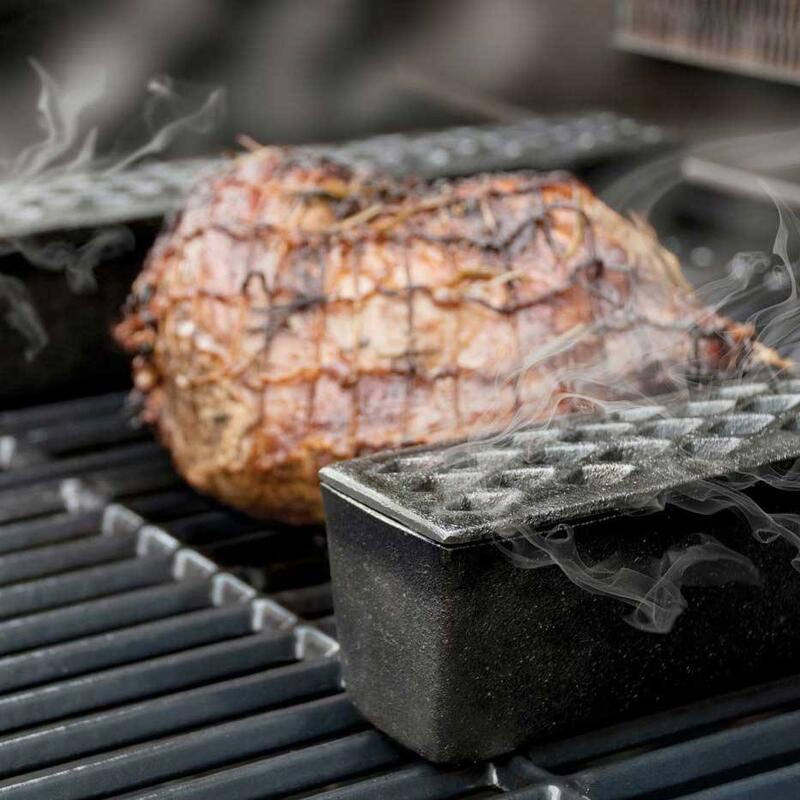 Product Description: 6-Inch Cast Iron Smoker And Humidifier. 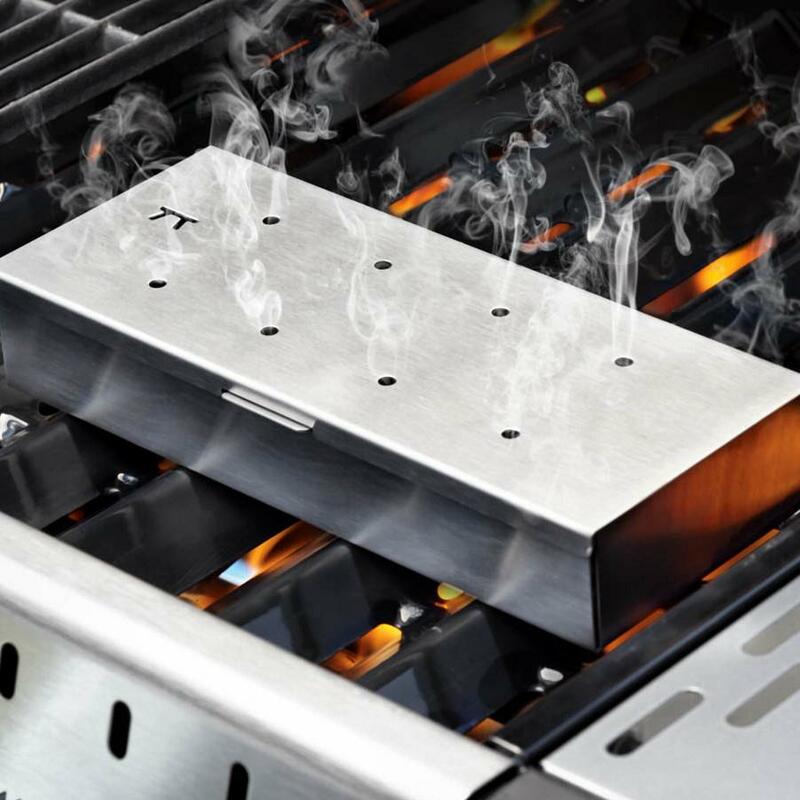 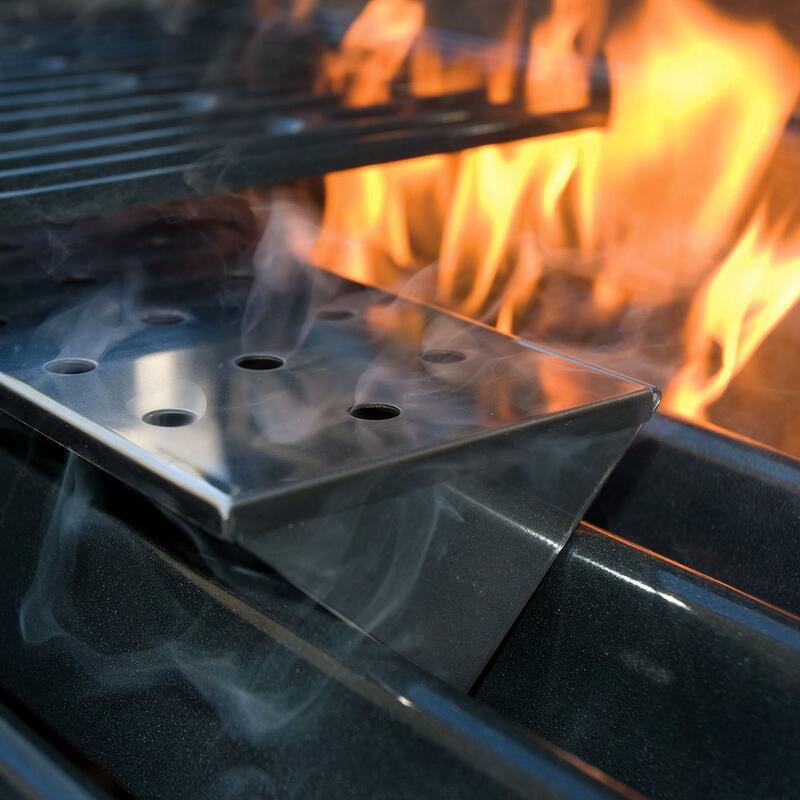 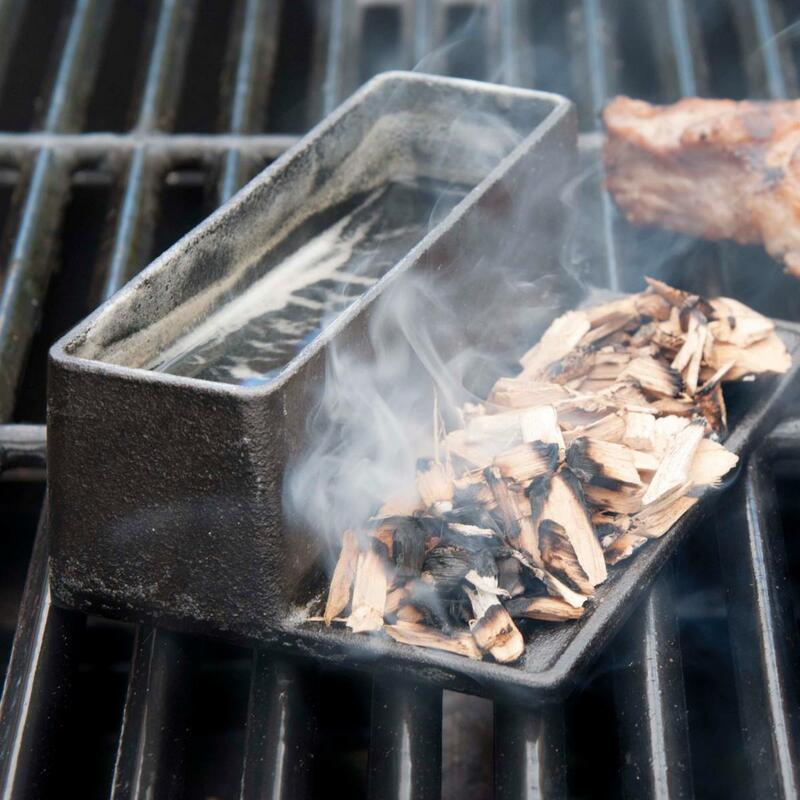 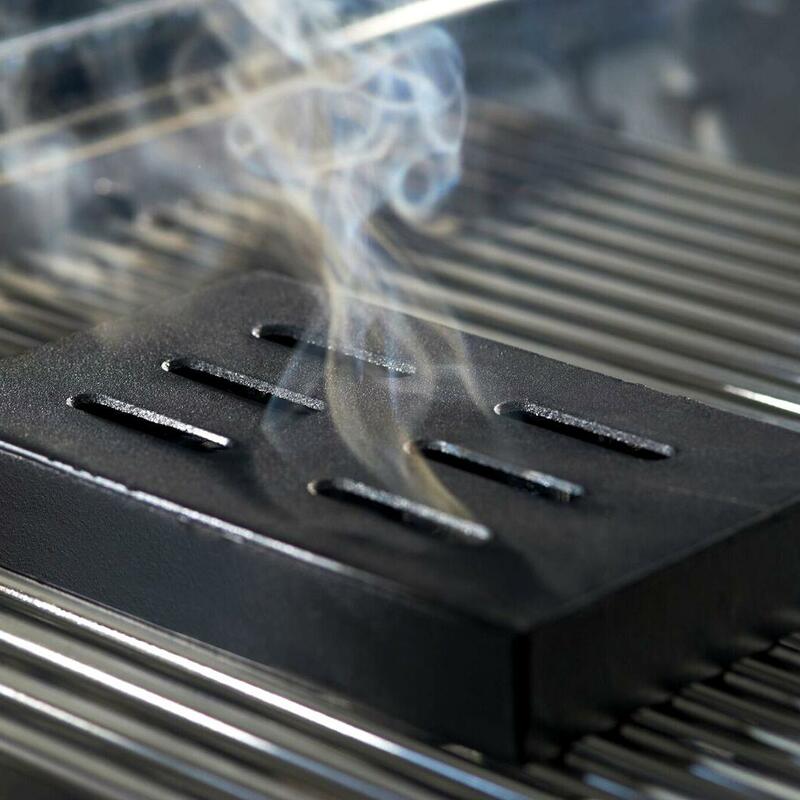 Give your gas grill an edge with this Cast Iron Smoker And Humidifier. 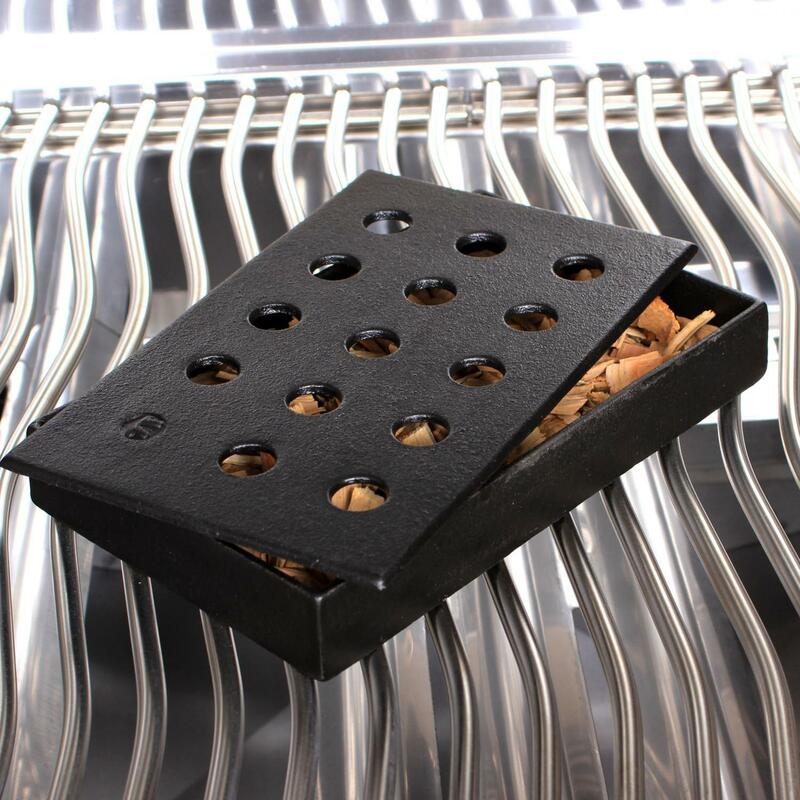 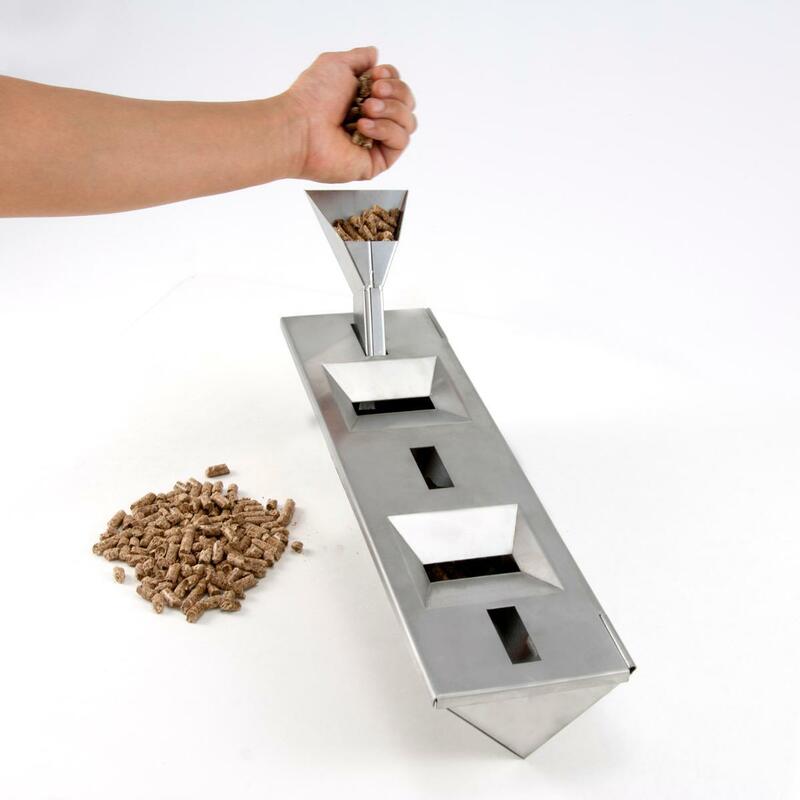 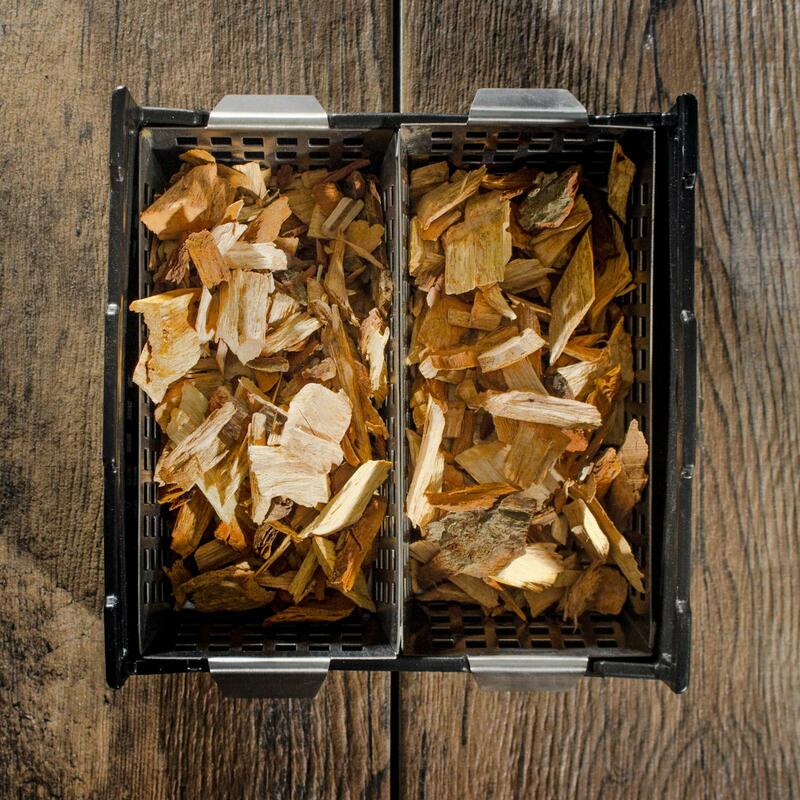 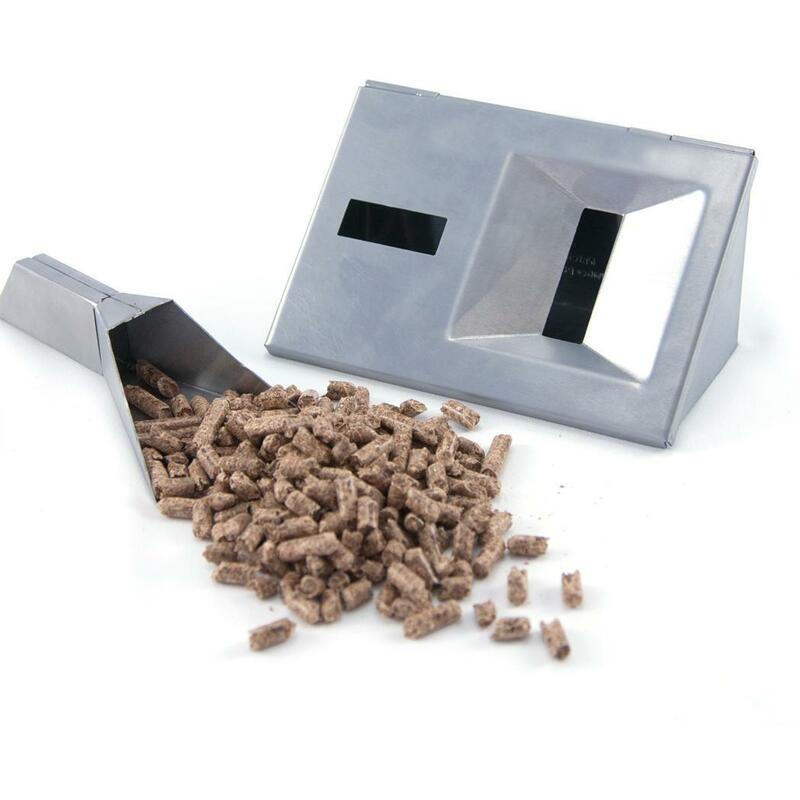 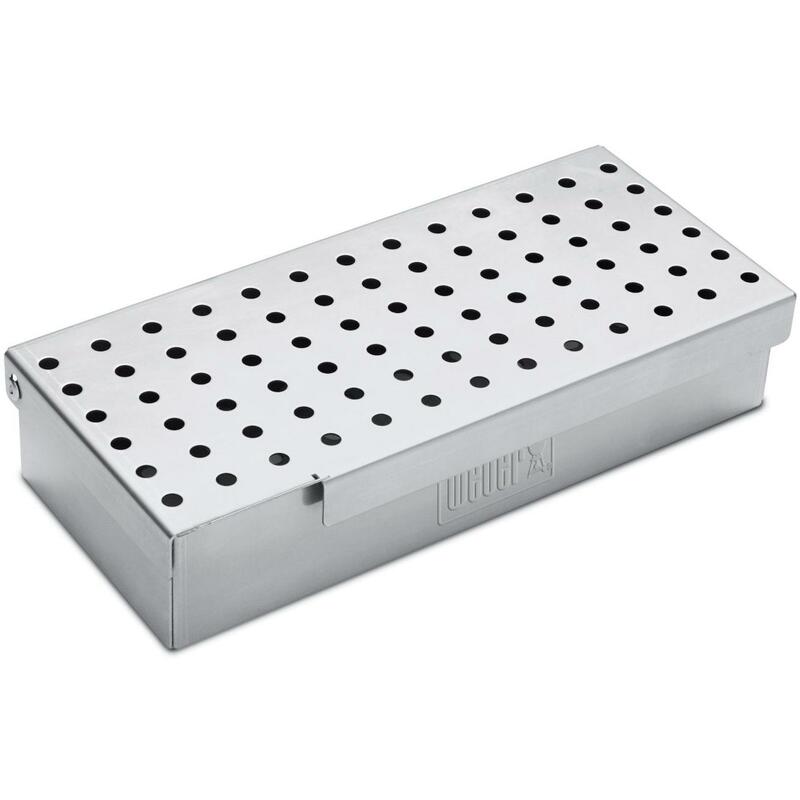 The dual design has a reservoir that holds liquids and a perforated platform that holds wood chips or pellets. 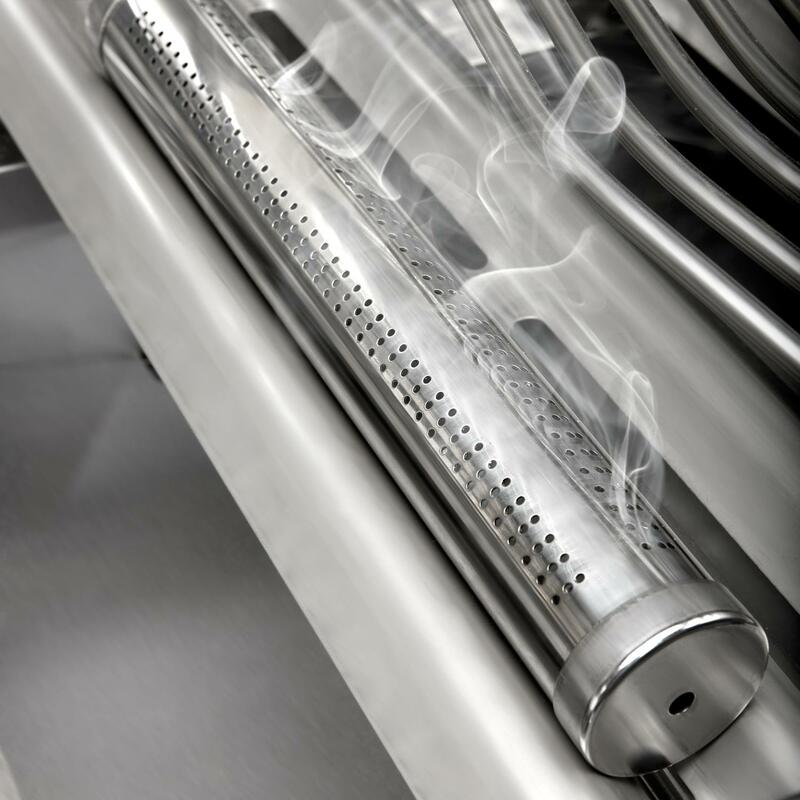 The steam from the liquid mixes with the smoke from the chips or pellets to infuse your food with moisture and flavoring.